GiveLocal 757 was a unique experience this year for all of the local non-profits involved. Originally scheduled for the 24 hours of May 3rd, at around 10am on the day of giving, the server that was handling the donations crashed. There was more than a bit of chaos and frustration on our end as we worked to communicate to our supporters that we were standing by. Thankfully, the Virginia Peninsula Community Foundation agreed to extend the day of giving through the next day once the server was back up. And boy, did you all rise to the challenge! We are beyond thrilled to report that we TRIPLED our donations from last year’s event!!! Last year, we collected $5,672.88 and this year, from the online donations, the bonus gift money we received during the event, and donations from our site and in the mail, we collected $17,809!! Incredible! $757 from having the most donations during the “Prime Time 8-10pm” time slot! Our hearts are full of gratitude for all the people who donated to this wonderful fundraiser! 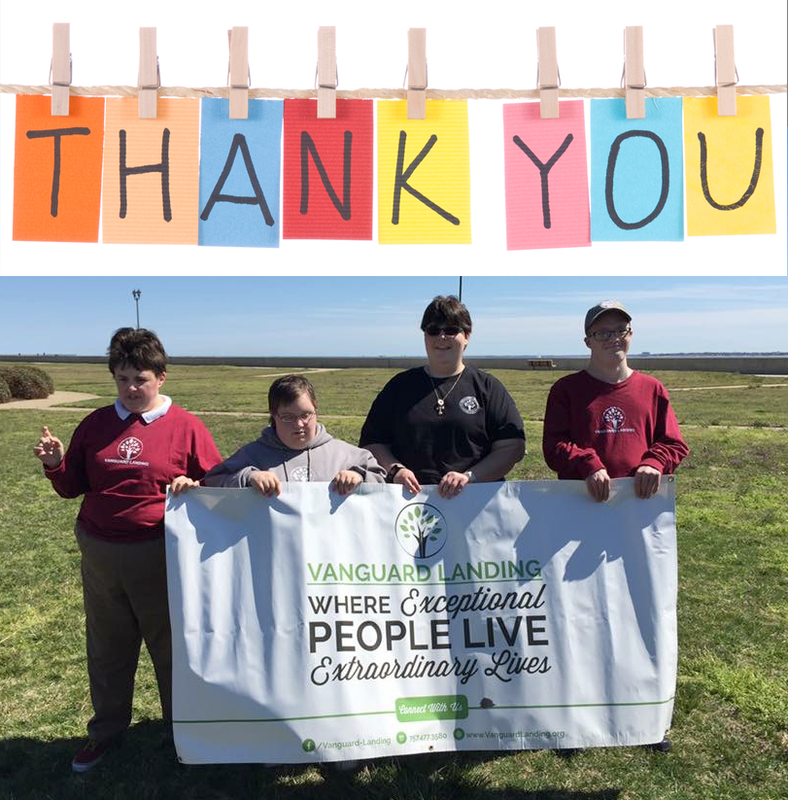 If you weren’t able to make a donation on the GiveLocal757 website for the May 3rd (and 4th) event, there are still so many opportunities to help Vanguard Landing. You can consider becoming a Guardian Angel or purchase a paver brick to leave a lasting impression on our wonderful community. Be sure to follow our Facebook page to stay current with what is happening around the farmhouse and with the Vanguard Landing mission. Again, an enormous THANK YOU to our wonderful, generous supporters for making GiveLocal757 2016 such a great success, and helping to create this community for adults with intellectual disabilities.